For women who have estrogen receptor-positive breast cancers, hormonal therapy is usually recommended after primary treatment with surgery and possibly chemotherapy and/or radiation therapy. Choices include tamoxifen or aromatase inhibitors such as Arimidex, Femora, or Aromasin. How does the cost and effectiveness of these medications compare, and what do you need to know? What happens if you have difficulty paying for these drugs? We know that even after primary treatment for breast cancer there is a risk of recurrence. And late recurrences several years or even decades after treatment are more common with estrogen receptor-positive tumors. Hormone therapies have been shown to reduce the risk of recurrence and improve survival rates. We know that estrogen works like a "growth factor" to fuel the growth of estrogen-receptor positive breast tumors by binding to estrogen receptors on the surface of the cancer cells. Therefore, both reducing the amount of estrogen in the bloodstream and blocking the estrogen receptors can reduce the risk these cells will grow and become a recurrence. Tamoxifen and aromatase inhibitors work by different mechanisms. Prior to menopause, the ovaries are the main source of estrogen. Tamoxifen works in premenopausal women by blocking the estrogen receptors on breast cancer cells so that estrogen cannot bind and stimulate the cells to grow. Tamoxifen can also be effective after menopause, but aromatase inhibitors have been found to be more effective in reducing recurrence. After menopause, the primary source of estrogen is the conversion of androgens (present in fat cells) to estrogen. The enzyme which does this is called aromatase. Aromatase inhibitors block the action of aromatase so estrogen cannot be produced. In pre-menopausal women, tamoxifen is needed as the primary source of estrogen in the body comes from the ovaries. In this setting, aromatase inhibitors would block only the secondary source of estrogen production. Premenopausal women are therefore treated with tamoxifen. Aromatase inhibitors can be used in a few settings. If a woman goes through natural menopause (as determined by blood tests since it can be uncertain after chemotherapy) she can be switched to aromatase inhibitors. She can also receive these drugs if she has surgical menopause (removal of her ovaries) or receives ovarian suppression therapy. In the past, either tamoxifen or an aromatase inhibitor was used for 5 years. 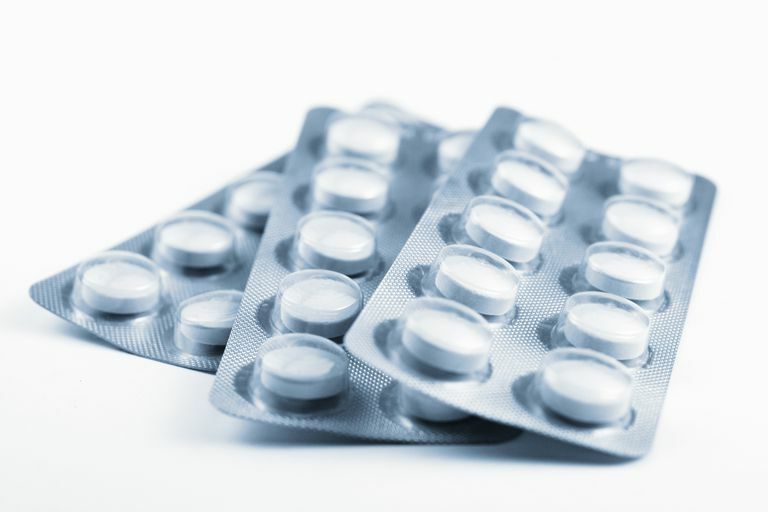 A recent study suggests that continuing for another 5 years (sometimes switching from tamoxifen to an aromatase inhibitor) can further reduce the risk of recurrence. Both tamoxifen and aromatase inhibitors can cause muscle aches, but these are usually worse on an aromatase inhibitor. Tamoxifen may slow bone loss whereas aromatase inhibitors can lead to bone loss and osteoporosis. As far as severe side effects, tamoxifen may sometimes have serious side effects such as blood clots and pulmonary emboli. Aromatase inhibitors are linked with an increased risk of heart disease in women with a history of artery blockages. If the side effects become bothersome, tell your doctor and ask for ways to cope; there are often ways to minimize these side effects and make treatment easier. While this can be a tough process, remember that you have finished the most intense part of treatment and are moving into life after breast cancer. Both tamoxifen and aromatase inhibitors such as Arimidex can reduce your risk of breast cancer recurrence (with some advantage associated with aromatase inhibitors) but costs can be quite different. Since tamoxifen is the oldest and most prescribed hormonal therapy, it tends to be one of the cheapest options. Aromatase inhibitors are usually significantly more costly than tamoxifen. Both types of hormone therapies help prevent a recurrence of breast cancer, but both types of medications come with some cost considerations and side effects. Hormonal therapy can be expensive, but it might help to think of it as an insurance policy against recurrence. The costs of these medications to you can vary considerably based on your insurance coverage. In addition, some insurance companies will cover one type of aromatase inhibitor and not another. The first step if the cost of your medication is too high is to talk to your doctor. If she feels there is a reason why one drug may be preferable to another (such as greater risk reduction or fewer side effects) consider the next steps. Secondly, talk to your insurance company. It may be easier to talk in person over the phone. If the medication your doctor thinks is best is not on formulary, your doctor may be able to complete a prior authorization so that it is covered. Whether you have private health insurance, Medicare Part D, or Medicaid, your eligibility may vary. You may also wish to talk to your pharmacist. Generic versions of some of these medications are available and can cost significantly less. Patient Prescription Assistance Programs: Learn more about the different patient prescription assistance programs available and check with drug manufacturers for assistance and savings programs. Prescription drug discount programs: Learn more about who may benefit from a drug discount card and when they may help. Ask for samples: Some oncologists are provided samples of aromatase inhibitors. It can't hurt to ask. Check into disability: If you are not yet 65 but can qualify for disability, you may be able to get your medication through Medicare. Online pharmacies: Before you go online, learn about how to safely order drugs online. State pharmaceutical assistance programs: Many American states have discount or assistance programs. Check to see if your state offers coverage. Non-profit assistance: Ask your doctor or clinic about local organizations that provide assistance with the cost of prescriptions. You can also check with the organizations which provide breast cancer advocacy. Keep in mind that different organizations have different goals. Some try to effect change at the National level. Some aim at funding research. And others have a goal of helping individual people cope with cancer today; such as affording the cost of prescription medications. With insurance changes often requiring greater contributions from those who are insured, keeping careful records is more important than ever. Many costs for cancer treatment are tax deductible, including the out-of-pocket cost of hormonal therapy. Hormone therapy is recommended for a full 5 to 10 years after the primary treatment of breast cancer, and therefore it's important to consider the benefits with regard to preventing recurrence, the side effect profile of the particular drug, and the cost. If you are having side effects it's important to decide if a switch might be effective. Apparently, too many people stop these drugs and fail to get the full benefit they provide. Cost can also be a deterrent, but several options are outlined above. As a final note, some of the most annoying side effects of hormonal therapy are the menopausal symptoms. Yet hot flashes are linked with better breast cancer survival. Just one of the silver linings. National Cancer Institute. Breast Cancer Treatment (PDQ)—Health Professional Version. Tjan-Hejinen, V., Hellemond, I., Peer, P. et al. Extended Adjuvant Aromatase Inhibition After Sequential Endocrine Therapy (DATA): A Randomised, Phase 3 Trial. The Lancet Oncology. 2017. 18(11):1502-1511.